A body camera worn by a Chicago police officer. CHICAGO (WLS) -- Officers from three additional Chicago police districts will be outfitted with body cameras, Superintendent Eddie Johnson announced Monday. It's another step in what's being called part of the effort to reform. Officers from the Chicago Lawn, Park Manor and Grand Central police districts. Mayor Rahm Emanuel and the police superintendent said the cameras improve police transparency and public trust. They expect every patrol officer in the city to have a body camera by the end of the year. "Body cameras offer a firsthand look into the dangers face officers every day and will allow us to see what we're doing right and where we can improve our training and tactics. We will continue make investments that make our officers safer and build community trust," Johnson said. 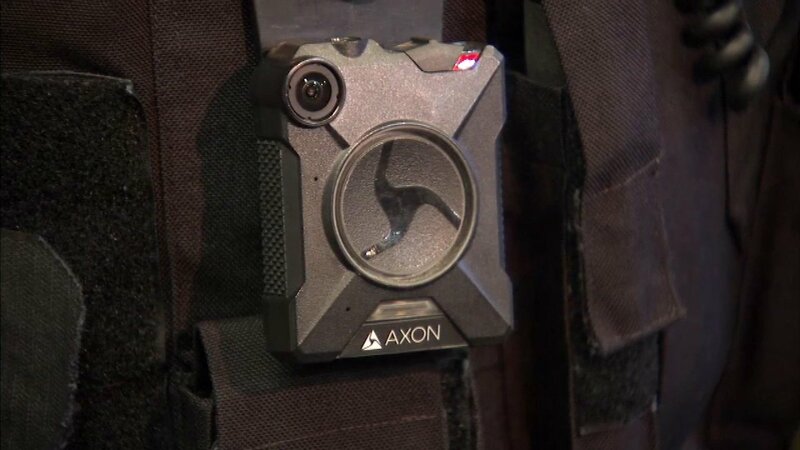 The body camera launched as a pilot in January 2015 in the Northwest Side's Shakespeare Police District and has since been expanded to the Austin, Wentworth, Deering, Ogden, South Chicago and Gresham districts.